Does the number 1 plate have a burden on riders? There was a time when a rider’s number indicated his position from the previous season, with the ultimate accolade being the number 1 emblazoned on the front of the champion's bike. The rise of branding in MotoGP and a rider wanting to market themselves, born from Barry Sheene and his retention of no.7, saw riders decide against displaying their finish from the year before. Rossi, who on winning his numerous championships, stuck with his famous #46 in defence of his titles, instead of stamping a great number 1 on his bikes. However, there are others who claimed championship victories in recent years and chose to display their glory the following season, and all have them have been unable to defend the burden of being number 1 – Mick Doohan was the last rider to successfully hold and defend the top honour during his reign in the mid-to-late 90s. It all started with Àlex Crivillé and his win in 1999, when the Spaniard came out of the shadow of his Repsol Honda teammate, as Doohan was forced into retirement from a career-ending crash at the beginning of the season. His defence in 2000 would end in a loss to Kenny Roberts Jnr on the Suzuki RGV500. Roberts Jnr found himself in the same position however, losing out to the dawn of Valentino Rossi’s dominance in the premier class. At the close of the 990 four-stroke era, Nicky Hayden rode a perfectly lucky season to defeat Rossi. With the number 1 adorning his Repsol Honda and in the first season of 800s, Hayden along with many others would fall to the incredible speed of Casey Stoner and the Ducati Desmosedici in 2007. Following the pattern, Stoner’s triumph would only last 12 months, as Rossi would regain his prominence and win his first – and then second – 800cc crowns. All this brings us to the last person to wear the number 1 (well a J&L fashioned to look like the numeric character), Jorge Lorenzo, and try as hard as he might the Spaniard would lose out to the mighty combination of Stoner and the Honda RC212V. But is the number cursed? Well, no. Probably not. A series of unfortunate events have held back these champs from retaining their honour; the arrival and reemergence of a GP god, riding a bike not made for you and the latest of losing of a finger tip (gruesome evidence here). But what of Stoner's second attempt of holding onto his precious achievement? Personally, I think he will reclaim and reclaim for the next few seasons. The combination of Stoner and HRC is like the reincarnation of the last dominant Aussie, Doohan. But I’ve got my fingers crossed Casey’s years will be more exciting. 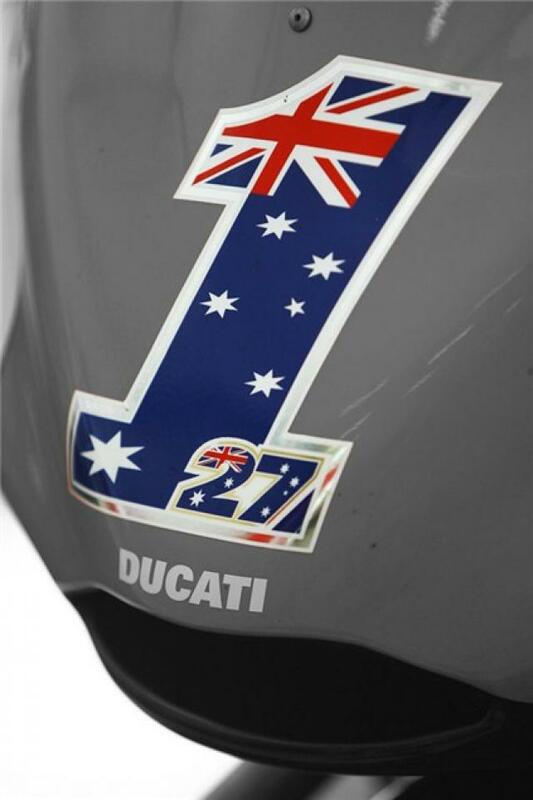 Do you think Stoner will be able to hold onto the no.1 at the end of 2012?